Sustainable development principle is ‘to fulfill nowadays needs without scarifying the fulfillment of future needs’. Development as an idea and concept has something to do with how it is implemented in the human lives namely the relation among the environmental, social, and economic aspects that the companies do in Indonesia. It also relates to the government which means that a business investment should run based on the standards nationally and internationally. For palm oil industries nationally, the interpretation of sustainable development concept is by implementing the sustainable practices that fulfill the social and environmental aspects. In palm oil sector, the sustainable practicehas been starting since 2004 by the making of multi-stakeholder institution, Roundtable on Sustainable Palm Oil (RSPO) within headquarter is in Malaysia. After two years or 2006, its branch office has been in Indonesia. one non-profit institution focusing to the sustainable practice implementation, RSPO is consistent to take palm oil industries which are environmental. 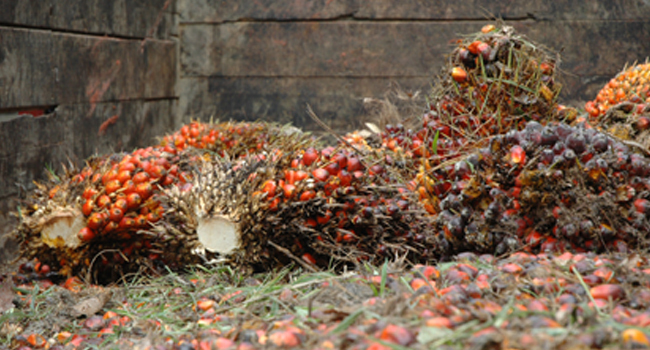 It is based on the trust that sustainable palm oil is the future market. as it goes on, sustainable practice is not easy to implement for it has to have the same understanding about the sustainable cultivation and this is the successful key in the scheme. The trade and environmental issues keep arising in the implementation. But it needs to study more though crude palm oil absorption keeps increasing in every single year.